Hand carved of solid ash and elm hardwoods in the early 1900's, this Chinese cabinet or chest could also be an interesting vessel sink vanity or tv console. The satiny restored finish is in excellent condition with glowing patina. Hand planing marks, restorations and shrinkage separations from age give antique character. 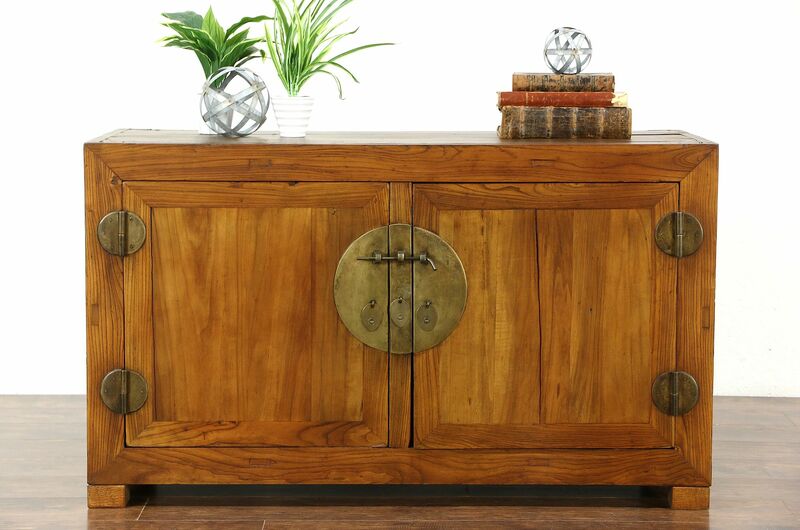 Patinated brass mounts are original on this clean lined furniture, wooden pegs and hand cut nails are visible. Size is 49" wide, 21" deep and 29" tall.